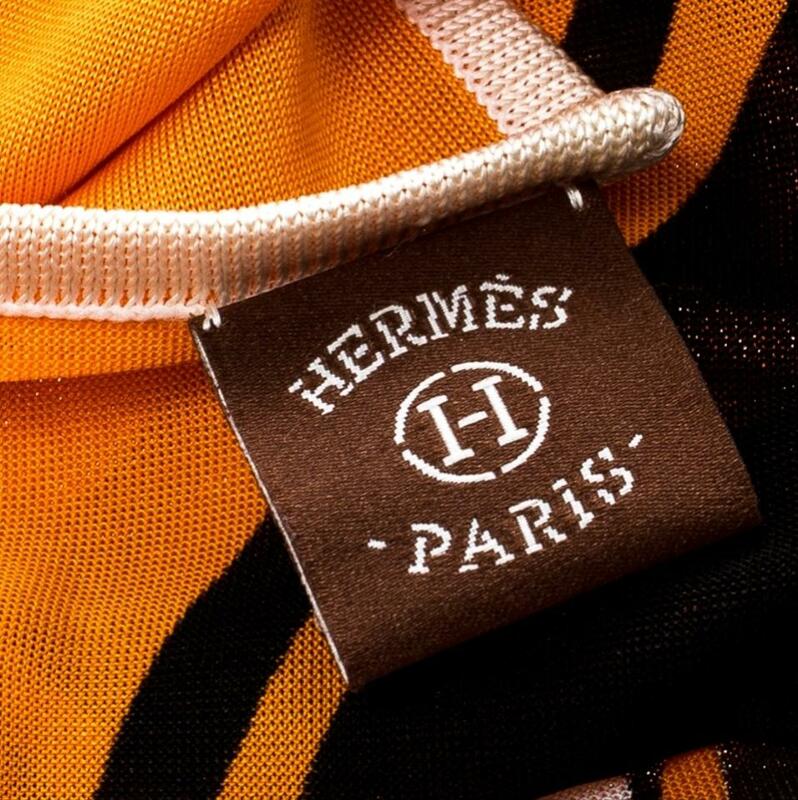 "Caleche Elastique" or "Elastic Carriage" was French artist, Bali Barret's design for Hermes which was first issued in the year 2004. 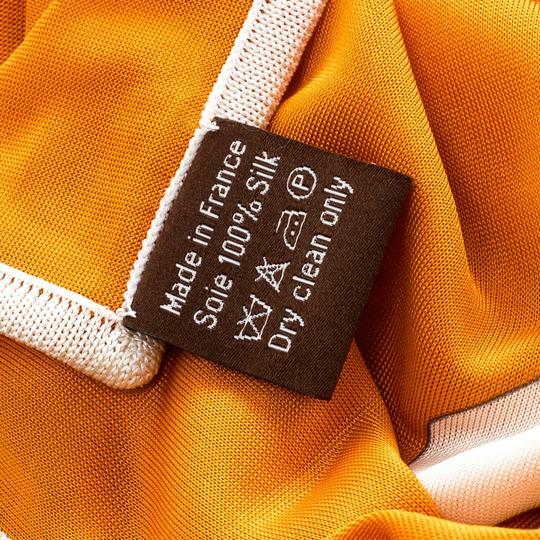 This design is a is a contemporary reiteration of label's iconic horse and carriage logo. 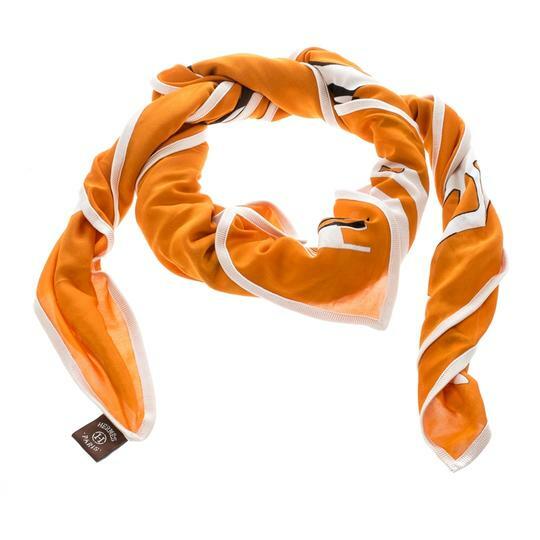 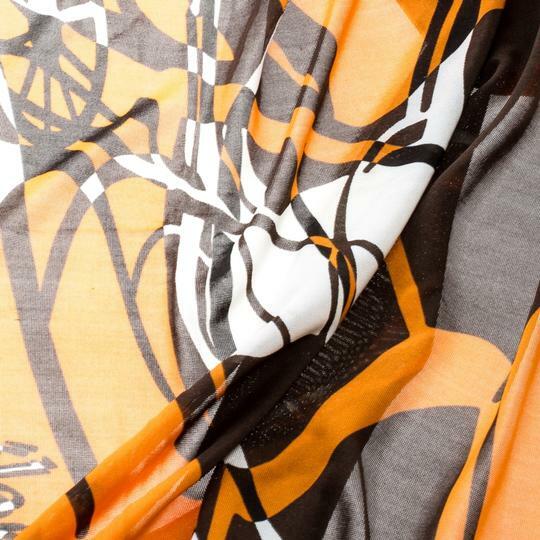 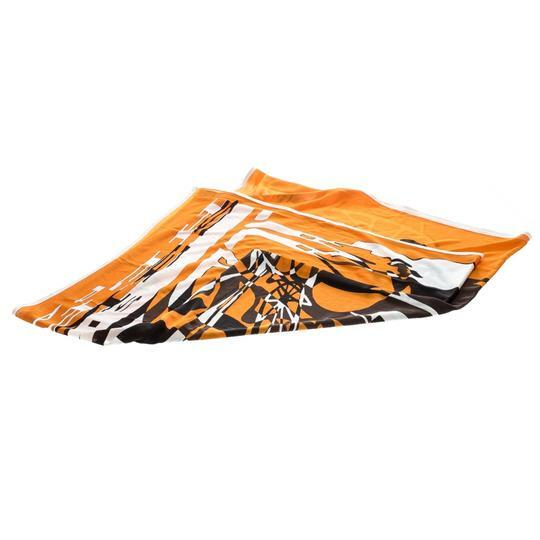 This lovely scarf carrying this brilliant print is cut from luscious silk into a square shape. 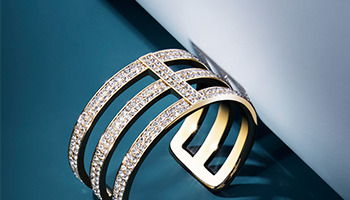 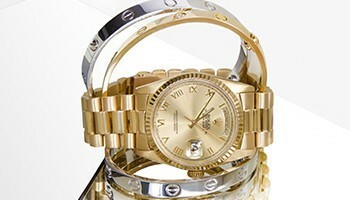 Add an instant element of style and luxury to your outfit with this beauty!